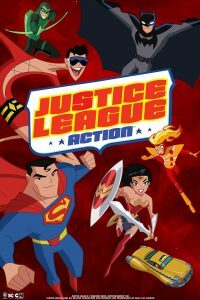 First noticed by eagle eye fans last Fall when a picture of the Warner Bros offices displayed a poster with silhouettes of iconic DC superheroes and the letters “JLA” emerged online, details of the upcoming animated series Justice League Action have slowly trickled online in the ensuing months. As a new poster prominently displaying Superman, Batman, and Wonder Woman was released in January with the sketches of Hawkman, Green Arrow, Zatanna, Plastic Man, Virman Vundabar, Shazam, Flash, Vixen, Kalibak, Blue Beetle, Darkseid, Dex-Starr, Deadshot, Felix Faust, Steppenwolf, and others in its background, fans learned the series’ title and that Kevin Conroy and Mark Hamill would return to voice their iconic roles as Batman and Joker, respectively. Further, the series would be dispersed in eleven-minute shorts like that of Teen Titans Go. At the Kre8tif! Conference in June, a panel would give full color character designs of some of those listed plus Space Cabbie, Doctor Fate, Doctor Light, Mister Terrific, Swamp Thing, Firestorm, Martian Manhunter, Big Barda, Harley Quinn, Lobo, and more. Some weeks later, James Woods and Diedrich Bader were announced to portray the voices of Lex Luthor and Booster Gold, respectively. Finally, at the San Diego Comic-Con, footage was released to the public. 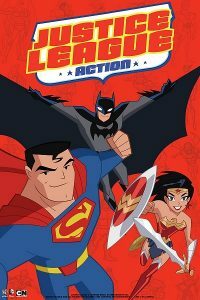 The pilot for Justice League Action (which has not yet been released online) featured Superman, Batman, and Wonder Woman fighting Toyman only to enter a fighting game leading to Cyborg having to use his skills as a gamer to save the day. A trailer would also be shown depicting more characters such as Mongul, Bleez, Atom, Stargirl, Etrigan the Demon, Hippolyta, Brainiac, Solomon Grundy, Chronos, and Mister Freeze. 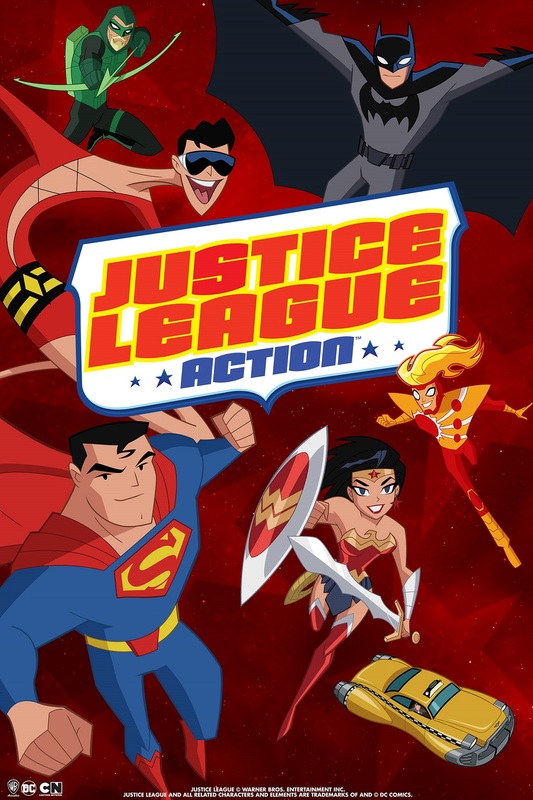 More voice actors would also be announced with Jason Lewis as Superman, Rachel Kimsey as Wonder Woman, Ken Jeong as Toyman, Patton Oswalt as Space Cabbie, Hannibal Buress as Mister Terrific, Dana Snyder as Plastic Man, P.J. Byrne as Firestorm, John Dimmagio as Lobo, Sean Astin as Shazam, Brent Spiner as the Riddler, Michael Dorn as Atrocitus, and Carl Reiner as the Wizard. Also cast is Lacey Chabert, Tara Strong, and Josh Keaton in yet known roles (though, in the past, Chabert has voiced Zatanna, Strong has voiced Harley Quinn, and Keaton has voiced Green Lantern Hal Jordan). 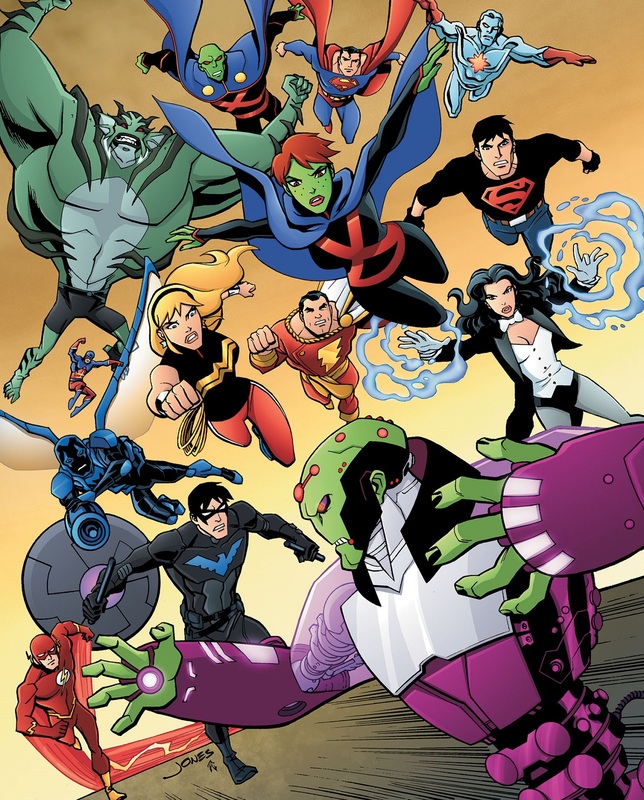 Likely described as a mash-up between Justice League Unlimited and Batman: The Brave and the Bold, rather than focus on the most recognizable members of the Justice League, the new series will feature a rotating cast of characters from the iconic to the obscure. The series will air on Cartoon Network and is expected to premiere in the Fall of this year.